This presentation is a multimedia musical journey through the history of Black art, Black culture, and the Black experience in America led by renowned hip hop artist and community organizer Hasan Salaam. The purpose of this workshop is to help people gain a better understanding of how Black music in America has been a weapon in the fight for freedom and justice. The workshop focuses on how Black music is/was born as a response and tool to deal with and combat oppression. Through audio clips, emceeing, and audience participation, this workshop will give participants an immersive experience in Black music. 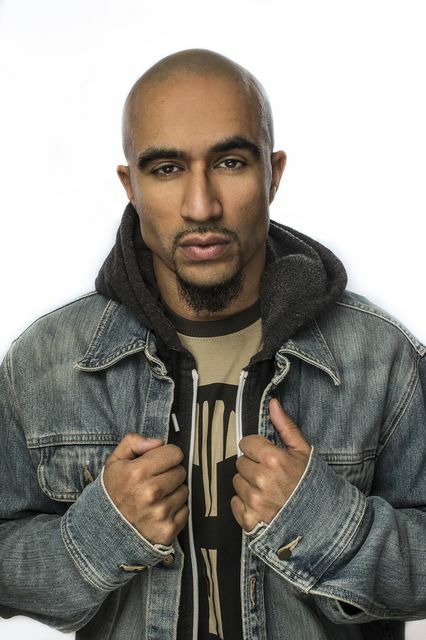 Hasan Salaam is an emcee, educator, and community organizer from New Jersey. Hasan has performed live on national TV stations such as NBC, FUSE, CSPAN, and PBS. His music videos have been featured by MTV UK, FUSE, Music Choice, and Video Music Box. In addition, he has been featured in numerous major media publications such as The Source Magazine, The Village Voice and The Washington Post. In addition to his musical successes, Hasan has remained dedicated to his work in the community. He also speaks regularly at universities and conferences to help bring awareness to vital social issues. This program is presented by the MA in Critical Studies program.